U.S. Law Group represented producer Ray Bouderau and his production company, Living The Dream Films, in their deal to executive produce and finance the thought-provoking feature film The Public, directed by Emilio Esteves and featuring an all-star cast including Alec Baldwin, Jeffrey Wright, Taylor Schilling, Jena Malone, Michael K. Williams, Christian Slater, Gabrielle Union and Emilio Esteves. 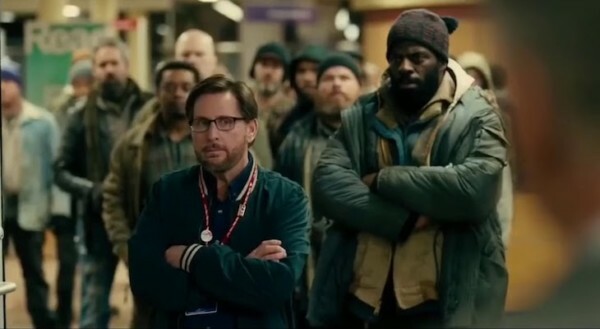 Universal Pictures Home Entertainment Content Group is acquiring U.S. rights to The Public, the drama written, produced and directed by Emilio Estevez. He also stars in the film, which first screened at last year’s Santa Barbara Film Festival before having its official world premiere in September at the Toronto Film Festival. Greenwich Entertainment will release the pic in theaters in the spring on behalf of UPHECG, which is acquiring all rights — theatrical, home entertainment and TV. The deal, which CAA and Cassian Elwes negotiated on behalf of the filmmakers, is expected to close shortly. The Public centers on downtown Cincinnati librarians Stuart Goodson (Estevez) and Myra (Jena Malone), who see their regular winter day shaken up when homeless patrons decide to take shelter in their library for the night. What starts as a peaceful sit-in quickly escalates into a face-off with the police and the media. Alec Baldwin, Taylor Schilling, Gabrielle Union, Christian Slater, Jeffrey Wright, Jacob Vargas, Michael Kenneth Williams and Che “Rhymefest” Smith also star. The film is produced by Alex Lebovici, Lisa Niedenthal and Steve Ponce and executive produced by Ray Bouderau, Richard Hull, Bob Bonder and Janet Templeton. Taylor Estevez and Kristen Schlotman are co-producers.